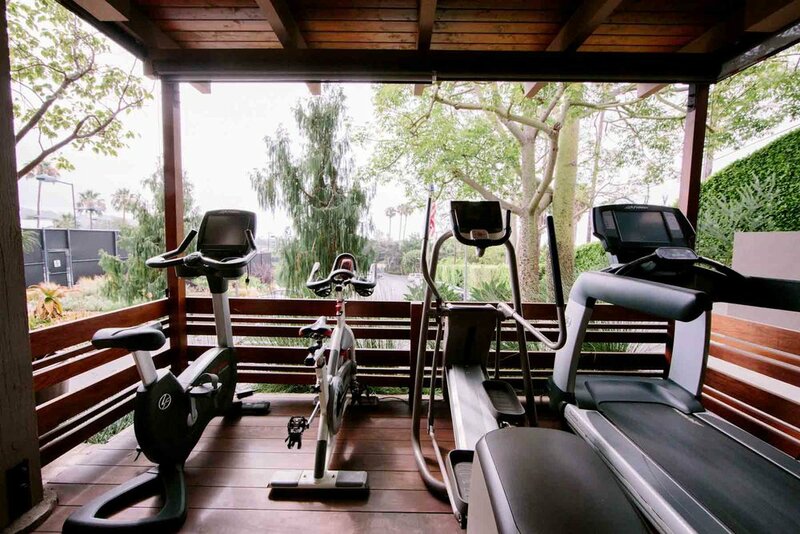 We’ve got your exercise needs covered with our fitness room, cardio deck and pilates instruction. Jeff Page is a trainer with over 20 years of experience – working at Equinox + Sports Club LA (as a trainer), Bodies in Motion (as a fitness manager). He is a student of the human body and his continual quest for knowledge has led him to  certifications: Level 3 Revolution in Motion, Advanced Certification from the National Academy of Sports Medicine, Level 1 Kettle Bell Certification, Level 1 Power Plate Certification. In addition to his extensive education, Jeff has also acquired the perspective of a competitive athlete. He competed in BMX, motocross, snowboarding, skateboarding, basketball — just to name a few, and was able to evaluate which training modalities produced the best results for performance athletes. As a result, for the past 9 years, Jeff has focused on training his students using the Revolution in Motion method. The Club’s latest fitness addition is our the Pilates Reformer/Cadillac combo unit. Classically trained and certified Pilates instructor, Tina Hojnik, leads one through this complete and corrective system of exercise. With Pilates not only comes improved flexibility, but toned, lengthened muscles and a strong core. Results are apparent after just a few sessions. Contact Tina to reserve a session. Mat classes coming soon.